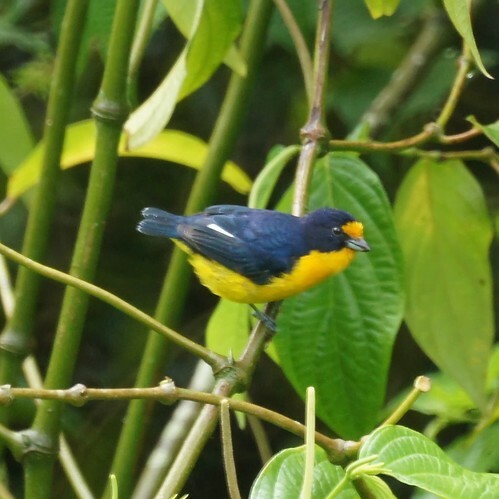 Violaceous Euphonia We saw roughly 75 types of birds while in Trinidad and Tobago. As you can imagine, it wasn't that easy at first to get the names of these birds rolling off our tongues. We had been told what this was by other birders, but it didn't quite stick. Chris at least once mistakenly referred to it as the violaceous euphoria. A clever birder in the bunch told her that's just how she feels when she sees it; euphoric! Eventually the name stayed with us and we also found out that violaceous means violet.